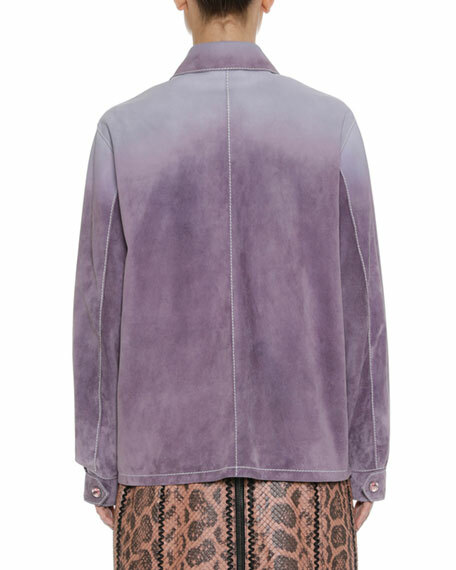 Bottega Veneta hand-sprayed ombre suede jacket. Spread collar; hidden front placket. Front patch pockets with grommet studs. For in-store inquiries, use sku #2467023. 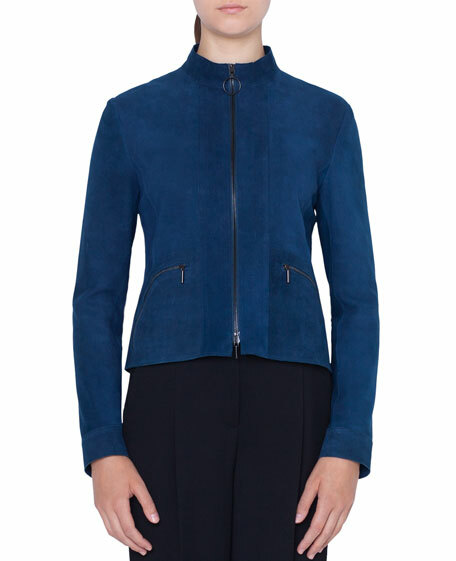 Akris punto jacket in suede leather. Stand collar; zip front with O-ring pull. Long sleeves with vented cuffs. Semicircle zip pockets. Slim fit. Lining, viscose. Imported. 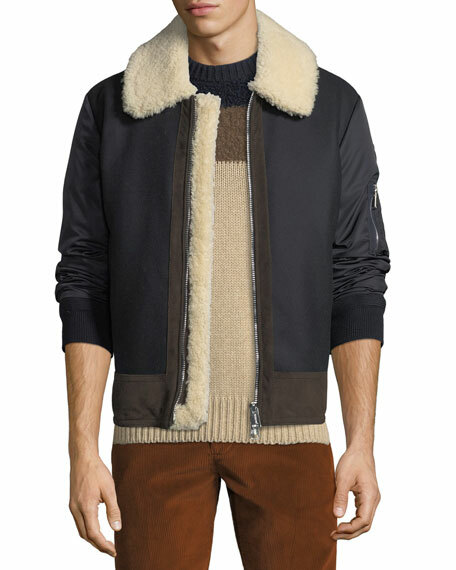 Loro Piana "Malcolm" bomber jacket in kidskin suede. Stand collar; button front. 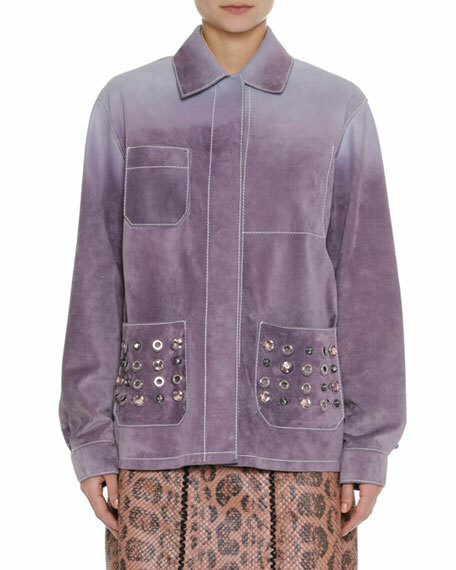 Patch flap pockets at sides. Relaxed fit. Straight hem. Polyester/nylon/spandex lining. Cashmere/cotton trim. Made in Italy.